Would I Want To See How The Years Have Treated Me? I had a weird question come to mind the other day as I was cleaning the mirrors in my bathroom. 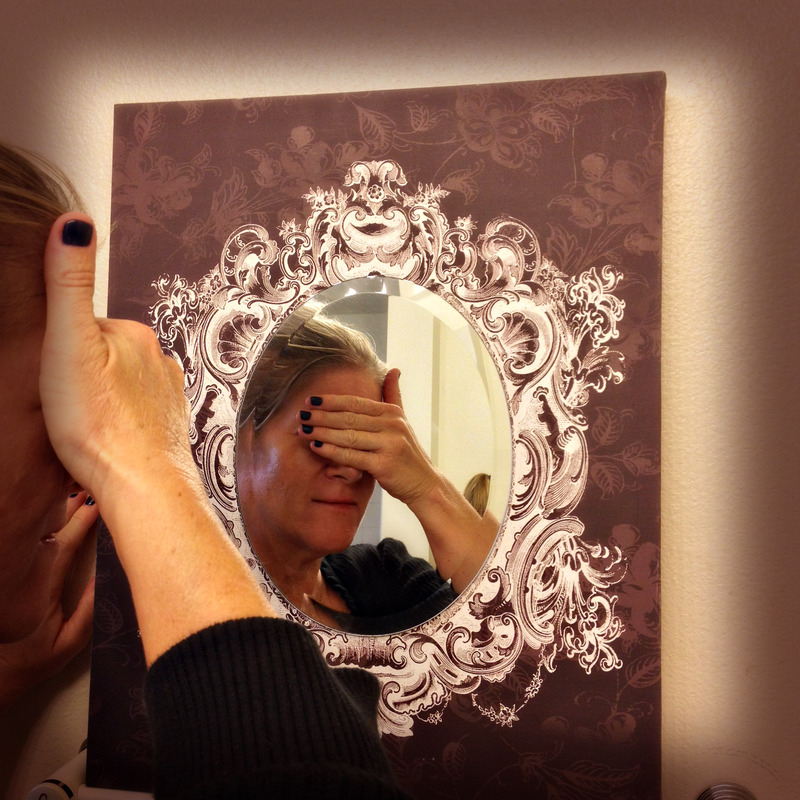 The first question was… “Why the hell am I cleaning these mirrors, I can’t even see myself!” …that’s not the weird one. Then the next question was…..“If I regained my vision in 10, 15, or 20 years… would I want to look at myself in the mirror?” I stopped and stared at my cloudy reflection. Wow. Maybe I need to lay off the Windex….’cuz that question hit me like a ton of bricks! I know physical appearance isn’t everything… but, would I want to see how the years have treated me? First of all, if I got my vision back, I would run, DRIVE, or fly to wherever my children were…… and look at them for a really long time. I would study every detail of their faces until they said “Ok, Ok Mom…really??”. And I would say,”Yes! Really!” Then, I would make my way to the rest of my family and friends, and go on a road trip and look at everything and anything I could! Wow. My heart is racing just writing about this!!! Let’s go back to that mirror in the bathroom. Would I go over to the mirror and look? Would I want to see how I’ve aged…since becoming legally blind at the age of 50? Would I recognize the woman in the mirror? Have I aged gracefully? Do my eyelashes look as awesome as I think they do? Is my hair color the way I remember it? Tell me. Would you look in that mirror? Would you be prepared for who you would see after all those years? Hmmm…. ← Do You Remember The Day You Got Your Diagnosis? YOU WOULD BE EVERY BIT AS BEAUTIFUL AS YOU ARE TODAY ! WHEN I LOOK IN THE MIRROR AT MY AGE…I SEE MY MOTHER’S IMAGE…. SHE WAS OLD,…BUT SHE WAS BEAUTIFUL. PS YOUR EYELASHES ARE GORGEOUS!!! It’s the heart that makes you beautiful – the exterior is just the shell that holds your heart. As long as you have a good heart, you will always be beautiful: and others will surely always see it. To get sight would require just as much rehab as to lose it. Not sure I’d cope with it. I’ve never been stopped from doing anything so I can’t imagine what I’d suddenly rush to do. Your potential is always there sometimeshould it takes a event as dramatic as sight loss to unlock it. I see my wife and kids, possibly, the world, differently to anyone else but I do see with all my senses not just the one others predominantly utilise at the expense of 4 others. In that way we are special. Would you then be GGS? Maria, firstly I’d like to say I enjoy your blogs. Having been diagnosed withLebers in 2012 i’m with you on that. We now have a daughter of just under 2 1/2 years old. In years to come I’d do anything to see her grow up visually. I agree with your comments on travelling the world and doing anything. I don’t think you are being weird. I can’t answer your question about what I would do in your situation. Probably very weird things! You express yourself so honestly – I admire you so much. Well, I for one, think you’re beautiful. Do you have a hidden stylist in your bathroom, because I can’t figure out how you keep yourself so GD put together. Keep on doing what you’re doing, because whatever it is —- it works!